The Makeup Show Does Dallas…Again! The Makeup Show is coming back to Dallas! On Saturday, September 24th, 9AM to 6PM and Sunday September 25th, 9AM to 5PM at Hyatt Regency Dallas (300 Reunion Blvd. ), The Makeup Show will and will feature an amazing lineup of Keynote speakers like Reggie Wells, Gregory Arit, and The Makeup Show’s Director of Education James Vincent. The Makeup Show Dallas will also feature over 75 top beauty brands including Diamond Sponsor MAKE UP FOR EVER, Platinum Sponsors TEMPTU and Crown Brush, Silver Sponsors NARS and Frends Beauty, Contributing Sponsors Anastasia Beverly Hills and Pinnacle Cosmetics, and Supporting Sponsor MustaevUSA. 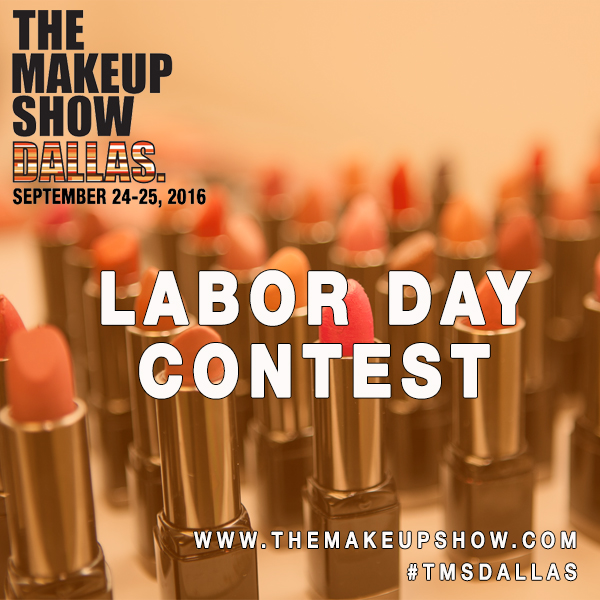 To celebrate Labor Day, The Makeup Show is hosting a contest! Five lucky winners will be chosen at random to receive free product at the door! 1. Purchase a ticket to The Makeup Show Dallas between Friday (9/2) and Monday (9/5). 2. The picture below will be posted on The Makeup Show Dallas Instagram (@themakeupshow). Comment “done” on the picture after purchasing a ticket. Entry Details: You must be currently working or studying in the beauty/fashion industry. Valid proof must be shown at check-in. The Makeup Show brings two-­‐days full of inspiration, education and an opportunity for fashion and beauty professionals at all levels of their career to come together with some of the best brands and biggest names in the business. The Makeup Show is owned by Shelly Taggar and Alan Boss and produced by Metropolitan Event & Production and travels internationally from LA, NYC, Dallas, Chicago, and Orlando. Bringing each destination over 75 beauty brands, and unique convergence of artists and community, where beauty professionals are sure to find an artistic energy that will inspire any beauty buff, from the passionate beginner to the seasoned professional. Each show offers an unparalleled lineup of education and appearances from top beauty professionals and focuses on career building and networking within the makeup community. The show provides a unique experience for the makeup professional to network directly from the best in the business.